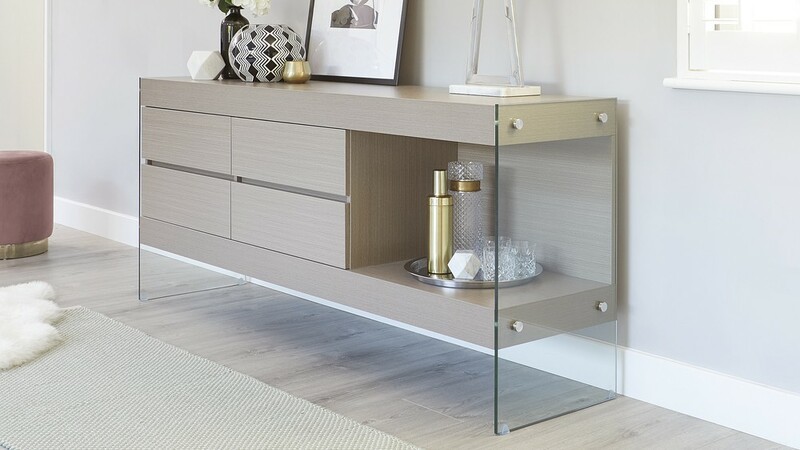 The Aria Glass and Grey Oak Sideboard gives you the option to stash away TV remotes, DVDs and other bits and bobs, and then style your favourite photos and ornaments on the shelf and along the top. This keeps clutter to a minimum while adding a modern look to your space. 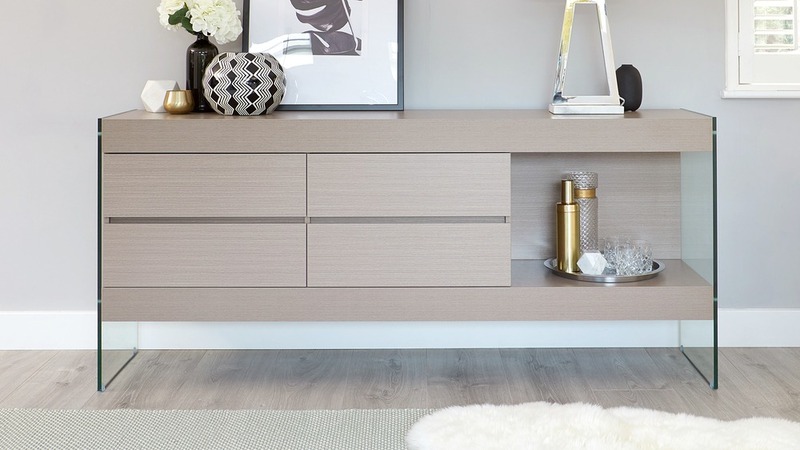 The Aria grey oak sideboard has 4 solid and substantial draws which all have 'soft' closures. 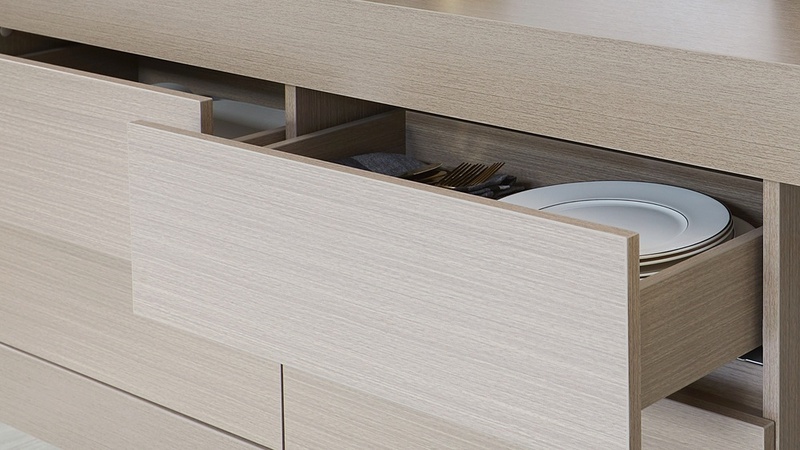 This luxurious feature further accentuates the sleek and refined feel of the unit, while also keeping the front looking streamlined and uninterrupted by handles. 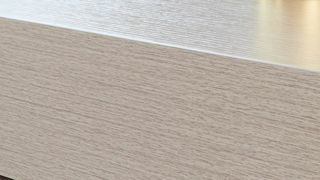 The grey oak surface has an oak grain running throughout. This is a subtler alternative to having a grey gloss finish, while still adding a sleek a modern look to your space. The sideboard is finished in a grey oak laminate. 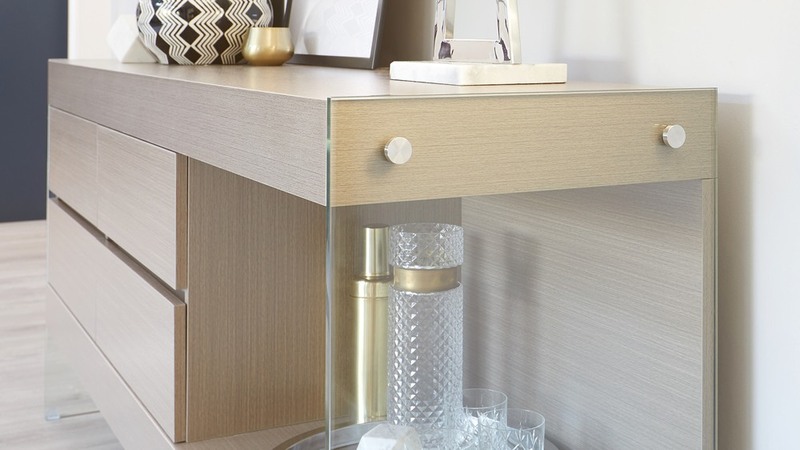 The benefits of a laminate mean that it very hard-wearing so you can rest assured that your sideboard will look fabulous for longer. 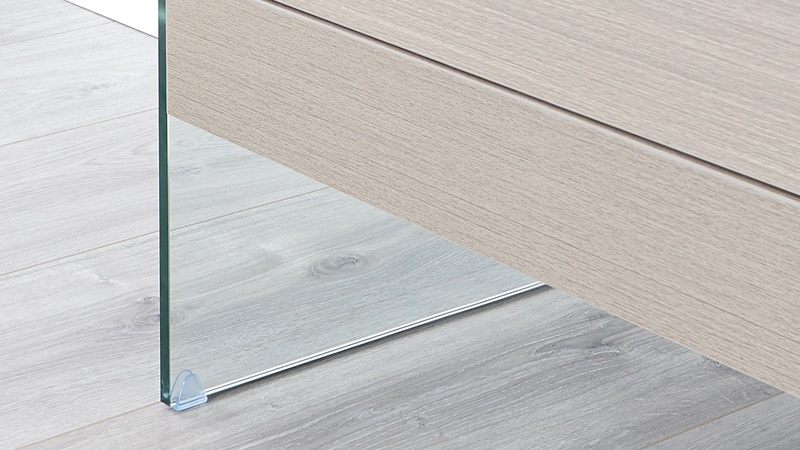 The glass legs are made from 12mm thick tempered clear glass. The glass has been rigorously tested for strength and durability, certified to British Standards to test the quality of toughening and strength against impact. 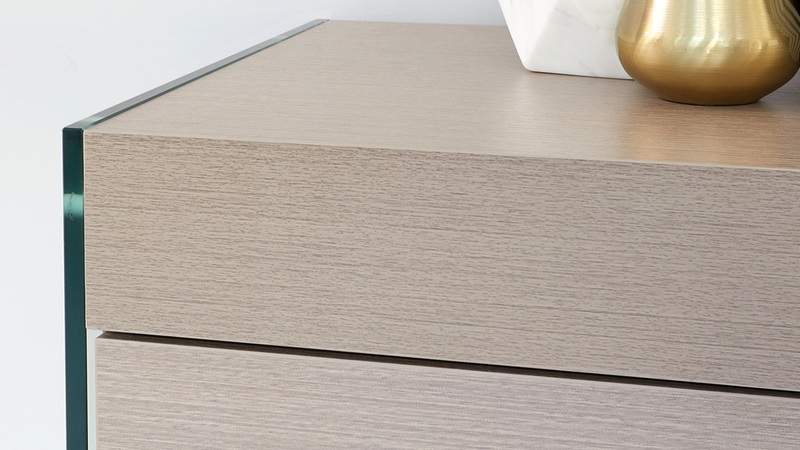 This rigorous testing is all to give you complete peace of mind, knowing you are choosing a sideboard that has been created with safety, durability and quality in mind. We also have the Aria sideboard in white oak and espresso dark wood if you're looking for a different finish to suit your space.